It is a story of two families living in upper and lower stories of a house. The householder Aleem-ud-Din lives upstairs with his family consisting of his wife Nunhi, a divorced daughter Bhunarya, a son Maqsood and daughter-in-law Rooh Afzaa. While Qudussi's widow, Shakooran live downstairs as tenant with her three daughters Khajusta Jahan, Badraka Jahan, Shagufta Jahan and a son Abdul Wudood Ahmad. 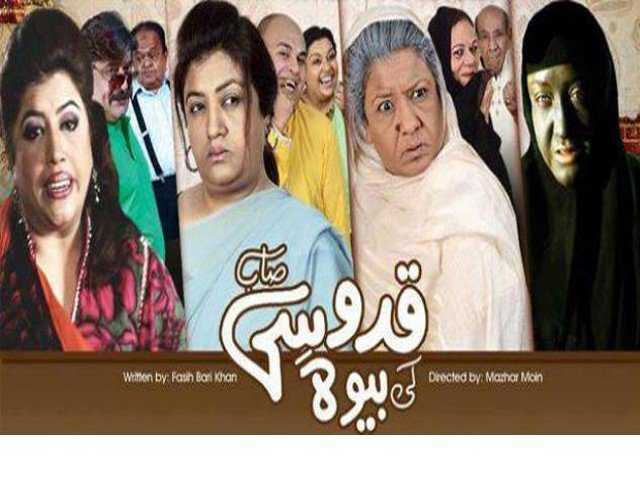 Aqeela Bhabhi is also a major character who is a neighbor and a good friend of Shakooran.Writer: Fasi Bari KhanDirector: Mazhar Moin Cast:Hina Dilpazeer,Shehnaz Pervaiz,Shabbir Jan,Uroosa Siddiqui,Badar Khalil,Waqar Hussain,Mirza Shahi,Maqsood Bhai,Ubaida Ansari and others.